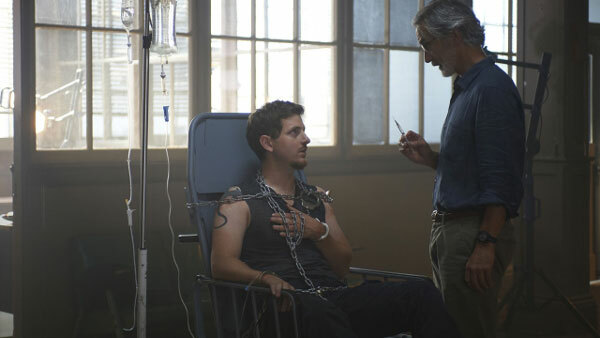 TV: Alphas 2.12, "Need to Know"
In times of war or impending terrorism, a predominant question asks how far authorities should go to stop an impending attack. Does the line for ethical behavior change when the clock is ticking? This conflict was a normal issue on 24, where Jack Bauer faced down nuclear attacks and other imminent threats every week. A similar dilemma takes center stage in this week’s penultimate episode of Alphas. Rosen’s actions have grown more unhinged since Stanton Parish killed his daughter, and they reach a new milestone this time. He seems willing to inflict serious pain and maybe even kill Cornell Scipio (Elias Toufexis) if that’s necessary to take down his enemy. The challenge is showing Rosen and much of his team crossing the line without dramatically changing their personalities. Even before Dani was killed, the gradual changes in Rosen towards a darker approach were evident. This is the just the next stage in his evolution towards becoming more similar to Parish than he’d like to be. Of course, Rosen isn’t planning to decimate a large portion of the human population. Within a few days, Parish’s ultimate goal to reshape this world is set to happen. This creates a sense of urgency in everyone to uncover his plans and stop them. For more details, check out my full review of "Need to Know" for Sound on Sight. The season finale is next week, and I can't wait to see what happens.